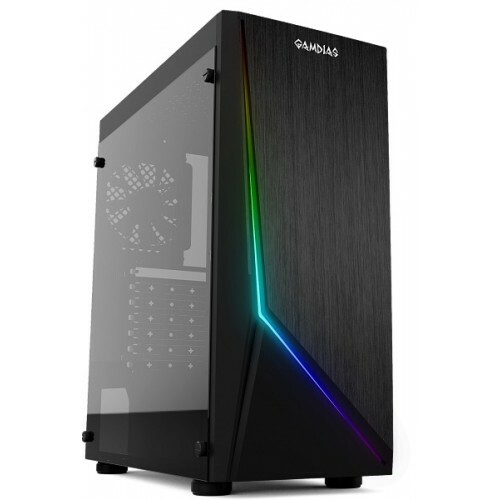 Drive Bays 2 x 3.5" or 2 x 2.5""(HDD Cage)2 x 2.5"
Gamdias ARGUS E1 Mid Tower Case supports connection to compatible motherboards to achieve system-wide RGB lighting synchronization, makes you easier to unite your case from chaos to calm.It is 1 Built-in 120mm Fans. 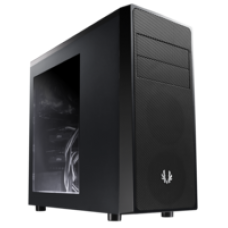 In this case it is Easily Accessible I/O ports and install 240mm water cooling system on the top metal cover.One touch to easily switch exclusive rainbow RGB streaming lighting style, and LED off.Simple, sophistication and style are the hallmarks of the ARGUS series. 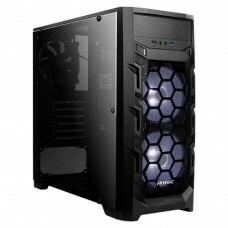 The top bracket of ARGUS E1 can accommodate radiators up to 240mm. 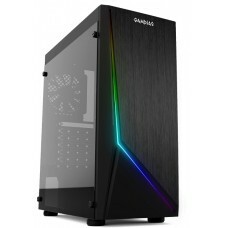 Gamdias ARGUS E1 has a very simple design philosophy: A Mid -tower case, the front eye-catching rainbow RGB lighting and hair line, Together, they add up to show off your own unique style.